Being green isn’t easy, especially when you’re a startup. With product deadlines and marketing budgets, Startup life leaves little time for little else much less the environment. While this is understandable, there are lots of things that any startup can do to impact the environment. With a little research and creativity, one can become an eco-friendly entrepreneur. For those who need a little more convincing, it’s not just the environment that will benefit from any efforts made to go green. Also, being able to call yourself a “green business” is great for public relations. Emphasize the efforts you’re making to be environmentally friendly, and gain the favor and business of like-minded consumers. So can startups really afford to be socially responsible? Here’s a startup already driving sustainable innovation. As many people move away from the suburbs and into the cities, air pollution serves as a health risk to many around the world. Green City Solutions from Dresden, Germany founded CityTree at the intersection between plants and IoT. 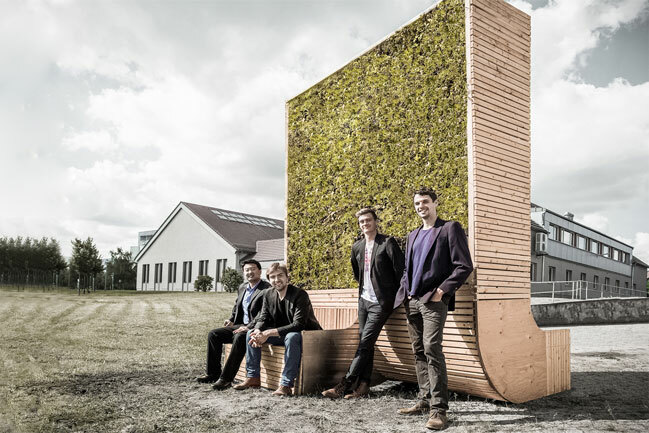 CityTree is a freestanding urban solution used to decrease air pollution. Each unit has the effect of up to 275 traditionally planted trees, but requires less than 1% of the space and no groundwork. Not only does it serve the role of a traditional park bench the architecture seamlessly blends itself into the urban landscape. As winners of the 2015 Cisco Grand Innovation Challenge, CityTree has a lot of room to grow.